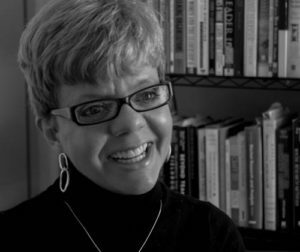 Dr. Kathryn Scanland is an avid student of strategy and leadership and has focused on helping others strategize, plan, learn, and lead mission-driven organizations for more than 25 years. Immediately following undergrad she served in several roles in higher education administration. Armed with a decade of experience and an MBA, Kathryn then had the opportunity to oversee research and strategy for a publisher’s ten national magazines (back in the day when print actually existed). That provided the foundation to transition to consulting in research and marketing strategy for a variety of clients in higher education, publishing, manufacturing, and service organizations. With the desire to dive into the deep end of organizations, Kathryn returned to school to complete a doctor of management and organizational leadership. Following that degree, she pursued certification from the International Coach Academy. Today, throughout a typical year, Kathryn will facilitate corporate training, design leadership development programs, facilitate leadership retreats, create organizational assessment strategies, guide organizations through visioning and strategic planning, and coach executives to enhance their leadership capacity. Dr. Scanland’s blog on leadership provides a window into how she thinks about and processes leadership challenges. It’s become a periodic feature for the Center for Values-Driven Leadership at Benedictine University and a resource for the graduate school at Indiana Wesleyan University. Kathryn lives in downtown Chicago and enjoys exploring art galleries throughout the city, taking long walks with her husky mix, Lily, and spending the evening at the theater or symphony. She’s addicted to Harvard Business Review and reads anything she can get her hands on regarding leadership. Kathryn values the colleagues she has gained through serving on various nonprofit boards and the board of directors for Baker Publishing.